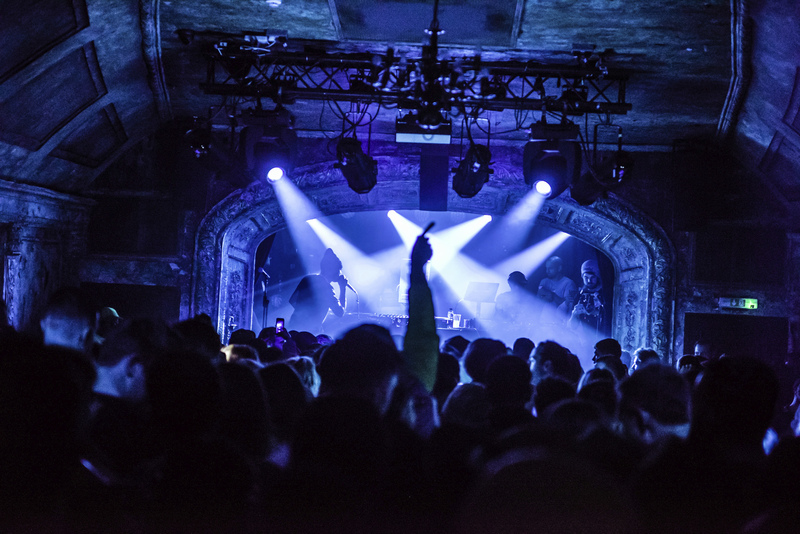 After an incredibly successful debut back in February, Shy FX brought his much anticipated cult.ure series back to London for four weeks at Omeara: an underground near London Bridge. The series was secretive and exclusive, with guests signing up for free tickets to an unannounced line-up at a secret London location. This was the last event of the November series, meaning everyone was ready for a stellar night of music to top off a month of incredible shows. 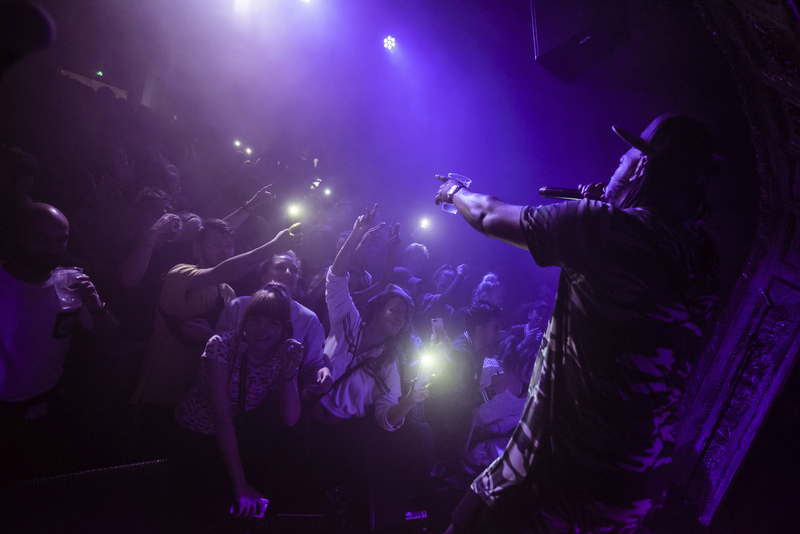 The past three Thursdays saw the likes of Idris Elba, Chase & Status and Lily Allen headlining these nights, and the finale was hosted by drum & bass legend Andy C, DJ Brockie, Kenny Ken and Shy FX himself. The night’s music was centred around Shy FX’s predominantly jungle-based style, despite there being a variety dance styles included across the series. Upon arrival to Omeara it was obvious how highly anticipated the night was: despite it being relatively early there was already a long line of fans waiting to be let in. The club itself is unlike any other music venue I’ve been to in London. Set within two railway arches, Omeara has really utilised its space and created a relaxed, amicable atmosphere; with a balcony bar, outside terrace and plenty of indoor seating for those who wanted a brief respite from the chaos of the rave. It was refreshing to have a space to step out into and relax when the dancing got too intense, which is something a lot of clubs are lacking. In contrast to this more peaceful space, the DJs played in a dark hall with a heavy sound system and a low curved ceiling which emphasised the intimacy and intensity of the music. Not to mention that outside seating is definitely needed when you have an unlimited amount of press drinks to get through. The music itself was electric. Staying true to his punchy jungle-inspired drum & bass style, Shy FX’s set saw some of his classics such as ‘Original Nuttah’ being blasted across the hall with everyone singing along. The crowd loved every single second of the set and there wasn’t a single person not yelling the lyrics back to him. Even the pull-ups kept the crowd going and waiting in anticipation for the next drop. Andy C followed with a slightly darker tone, but still incorporated waves of jungle into his set and even dropped in Chase & Status’s new single ‘Retreat’. The crowd slightly thinned after Andy C’s set (to be expected on a Thursday at 1am) but DJ Brockie kept the room alive with reggae-inspired drum & bass and the occasional classic such as Chase & Status’s ‘Blind Faith’ being thrown into the set as well. Overall, it was a hyped, punchy, dynamic night; which is to be from a set of DJs who are such influential figures in the jungle scene. The combination of subtle Jamaican fusion and drum & bass made it impossible to resist dancing along to the music. Even drum & bass sceptics, like my plus one, had a great time. It was amazing to see such iconic drum & bass pioneers perform in such an underground venue- a venue which I will definitely be returning to. ← What would Bell Hooks say about Meghan Markle’s entry into the British royal family?